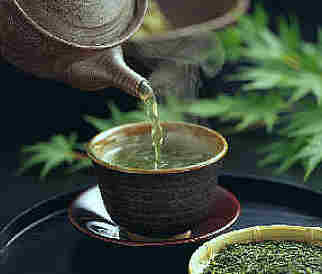 Drinking green tea may help you head off depression, according to new research from Japan. Study participants who drank two to three cups of green tea a day were about 41% less likely to report feeling depressed than those who sipped a cup a day or less. Catechins (antioxidants found in high concentrations in green tea) may help decrease our levels of cortisol, a steroid associated with depression, the study authors say. Go fresh brewed, not bottled - you'll take in more antioxidants, Rutgers researchers found.